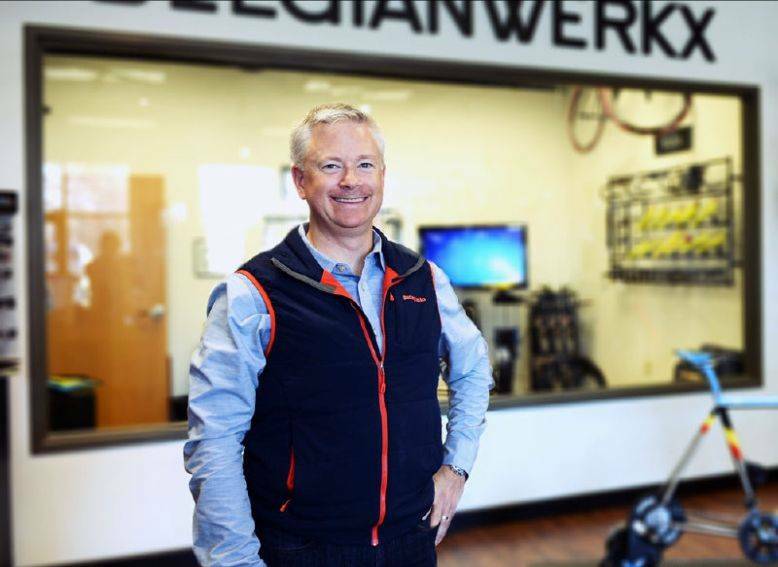 With founder Bill Koehler stepping aside in 2019, we'd like to introduce you Beglianwerkx's new owner, John W. Miller! As both an experienced businessman and a like-minded mountain, cyclocross, and road cyclist, we've found John to be a perfect fit for building on to the strong and highly specialized foundation the shop has established since our opening in 2013. Ozaukee County's News Graphic has featured a press release this week, announcing the transition. For the whole story, be sure to pick up today's paper or read it online at the News Graphic! Nick, Amber, and John want to ensure you that as we grow, you can expect the same detailed and attentive service that we've become known for over the past six years. We are still very proudly partnered with Giant Bicycles, Liv, Rocky Mountain, Gunnar, and Seven Cycles, as well as a number of top component, accessory, and apparel manufacturers. Of course, Belgianwerkx will continue to support our namesake team, Team Belgianwerkx, in addition to the handful of races and rides hosted by the team, including Grafton PumpkinCross, Cheesehead Roubaix, and the Adam Hartwig Memorial Road Race. While we aren't planning any major changes at Belgianwerkx, we are expecting to introduce several new and exciting product lines in the weeks to come! Though we aren't quite ready to share the details just yet, you'll want to stay tuned for our upcoming announcements! In the meantime, we invite you to take a peak at our brand new website, where you'll be able to browse and order from our current lineup, and new ones as they arrive!